For more than 40 years, the people of Budapest have been awaiting redevelopment of the most important traffic junction on the Buda side of the city. Now, in May 2016, it is finally complete. The triangular square, which is surrounded by three districts, was a sports ground 100 years ago. In winter, a flooded former gravel pit was used as an ice rink. With the explosion in population, the traffic increased significantly, but the awkward triangular shape and the hilly terrain meant it was never managed effectively. The section along the north side of the square is now one of the most heavily trafficked road sections in the city. In 1972, Budapest opened a second metro line and the distinctive metro entrance by István Czeglédi was built on what had in the meantime been renamed Moscow Square. Ten years later, six tram and 20 bus lines stopped here. Despite the heavy traffic and lack of pedestrian-friendly space, the square became one of the most popular meeting points in Buda. 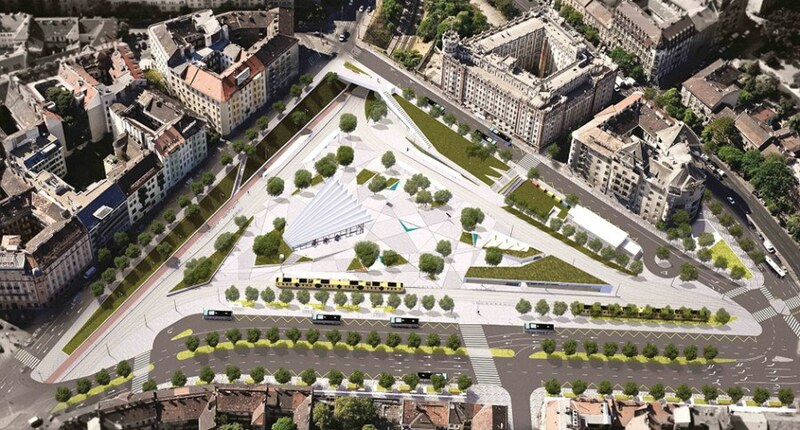 After regaining its original name of Szell-Kálmán Square in 2011, it was decided to not only reorganise the traffic but also redesign the square. The competition was won in late 2012 by the architecture firm Építész Stúdió, and landscape planners from the Lépték-Terv firm. The masterfully renovated 1972 metro entrance was provided with a contemporary counterpart on the western side of the square, which improves its spatial composition. 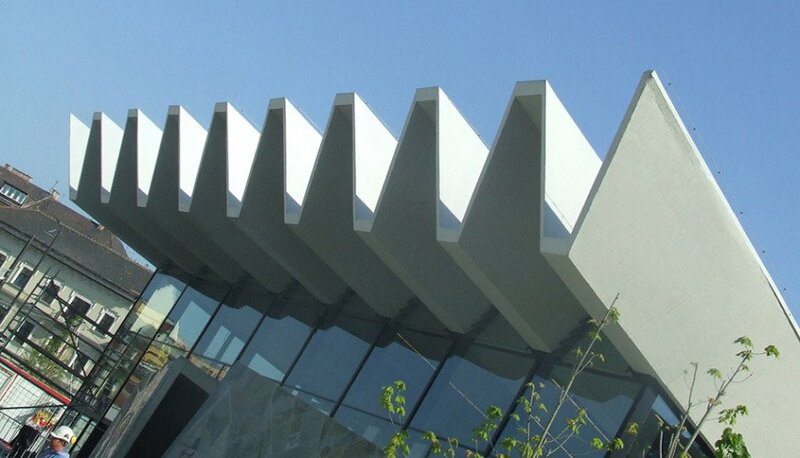 The tram stops along three sides have lightweight exposed concrete roofs resting on slender steel supports. The routing across the square is clearer and also offers disabled access. 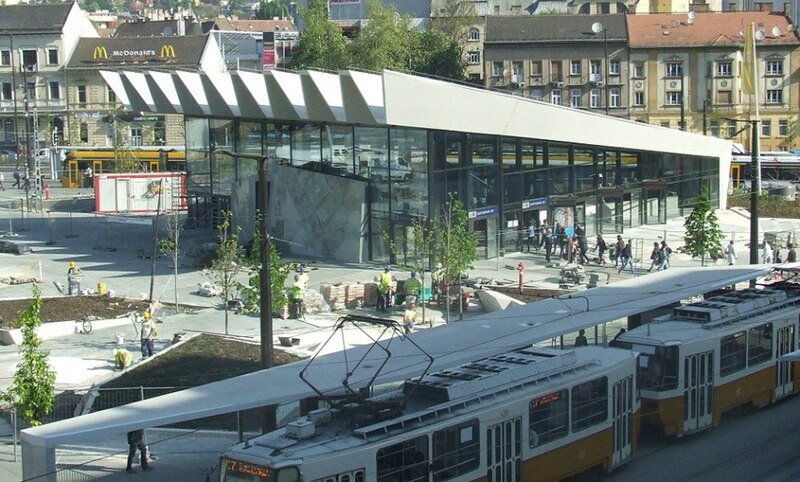 The new surface of the Szell-Kálmán Square is natural stone, which displays the movement paths. This is illuminated at night by light strips. Links to the neighbouring districts have been improved. In particular, the way to the nearby castle quarter on the south-east corner, which has been provided with modern representative steps. Access to the nearby Városmajor Vermező, Millenáris parks is also better integrated. Unfortunately, it is hard to understand why the termini of tram lines 4 and 6 on the noisy north side still remain rather than being relocated via the south train station to Móricz-Zsigmond Square, as was done with line 17. 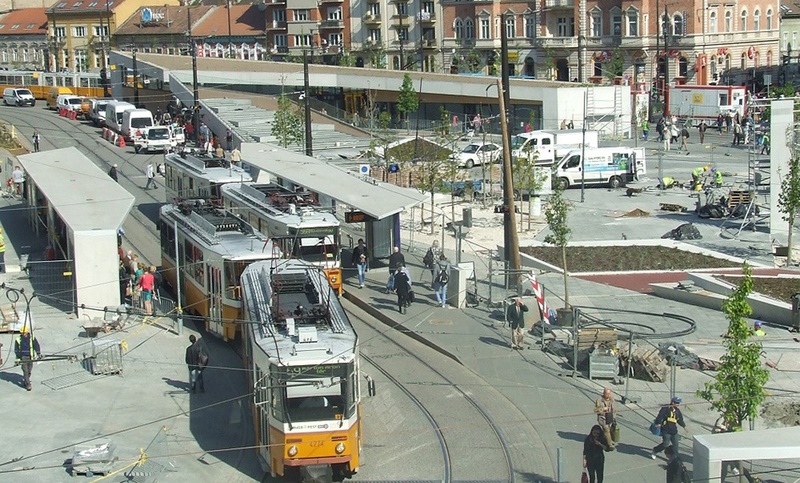 This would have left one side of the square free of tram traffic and created a closed tram ring. For more information please visit our Destination BUDAPEST.